I would like to take this privilege to express my heartfelt thanks to the NEWS Fellowship Panel, who selected me to avail the NEWS India-UK fellowship on the topic “To characterize and model the release of carbon and nitrogen during treatment of organic waste”. I carried out my fellowship research during the period of February 27 to May 27, 2017 at the Institute of Biological & Environmental Sciences, University of Aberdeen, Scotland, United Kingdom under the guidance of Prof. Jo Smith. In my project, we tried to develop a simple dynamic model to determine the losses of carbon and nitrogen during the treatment of organic waste and the subsequent activity of the treated organic waste. We used the same concepts to describe the organic matter as used in RothC. As such, I learned about the input and the output of the RothC model, as well as how to run the model. I also found the ECOSSE model very useful for my research work and became familiar with it with the help of Carmen, who was a visiting PhD student at University of Aberdeen. I was also interested in the fundamentals of programming and statistical analysis using the R software. Rita, a PhD student at University of Aberdeen, helped me to learn this. 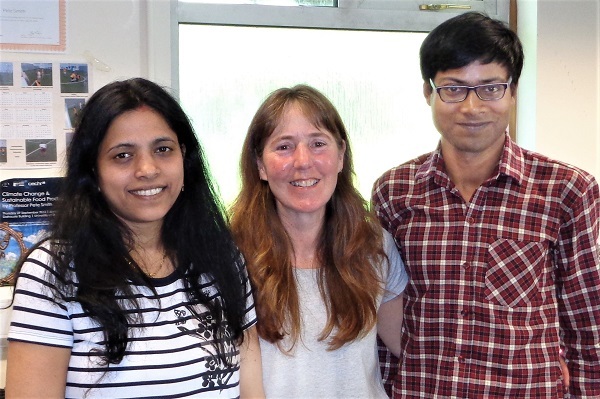 With the kind help and esteem guidance of Prof. Jo Smith and Dr. Dali Nayak, we wrote one research paper and one review paper related to our work. Apart from my project work I also got the opportunity to attend classes in a course titled “Ecological and Environmental Modelling (BI 4803)”. As a student, it was quite useful for me to understand the basics of ecological modelling. 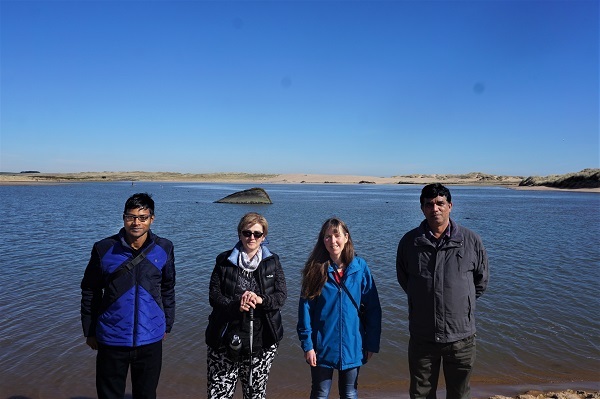 This fellowship provided me a great opportunity to meet and interact with researchers from the University of Aberdeen, the University of Edinburgh and the Centre for Ecology and Hydrology, which will be certainly useful in my research career in the future. 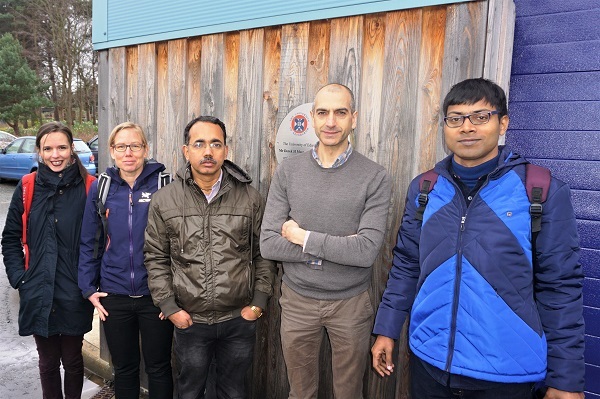 At the University of Edinburgh, I got the opportunity to visit the lab for biochar production with Dr. Dinesh Kumar and Dr. G. K. Jha. It was a nice experience. At the Centre for Ecology and Hydrology, Prof. Mark, Dr. Andrea and Dr. Julia showed us the research facilities available there. Prof. Mark showed us some places to visit around Edinburgh. 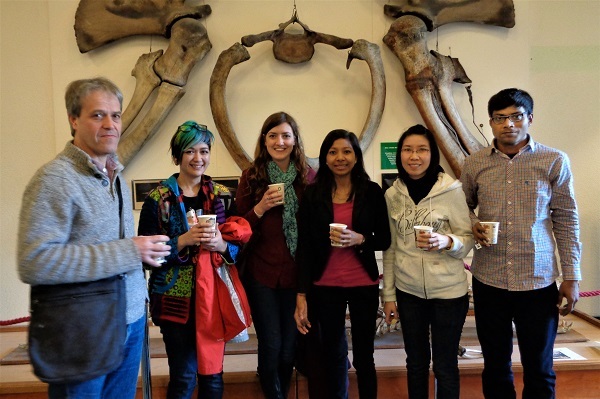 During my fellowship, I also got the opportunity to attend the Scottish Ecology, Environment & Conservation Conference, which was held at the School of Biological Sciences, University of Aberdeen on 3rd and 4th April, 2017. I also attended the PGR Conference and Symposium 2017, held at the School of Biological Sciences, University of Aberdeen on 20th and 21st April, where PhD students presented their research work. I interacted with some PhD students and faculty there and got exposure and idea about their research work. My stay in Aberdeen was quite comfortable and amazing. Prof. Jo is very caring. She arranged my accommodation and a good space to work in her lab. She took me to visit the beach of the North Sea, where I saw swimming seals; that was quite wonderful. She always used to ask if my stay was comfortable. I also made some friends, it gives me immense pleasure to mention Susmita, Amy, Munmi, Rita, Partha, Jeet, Ambreen, Matthias and Khadiza, who made my stay colourful. They all will stay alive in my memory. I visited Glasgow with my friends and it was quite fascinating. Dr. Dali Nayak and her husband Dr. Jagadeesh Yeluripati are wonderful people. They helped me a lot during my stay. 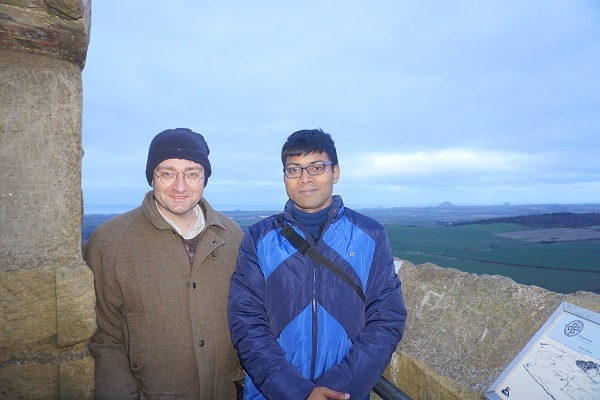 Dr. Jagadeesh took me to visit the Dunnottar Castle situated at the north-east coast of Scotland. I also visited London with Dr. G. K. Jha. It was a magnificent tour. In a nutshell, my fellowship was a great experience and I acquired a lot. I want to convey my heartiest thanks to Prof. Jo Smith, Dr. Dali Nayak, Prof. Mark Sutton, Dr. Andrea Móring, Dr. N. Raghuram and all who helped me to avail this fellowship. My sincere thanks to Dr. Himanshu Pathak and my PhD supervisor, Dr. Arti Bhatia who saw me as a potential candidate for this fellowship and helped me right from the fellowship application to the successful completion of my project. 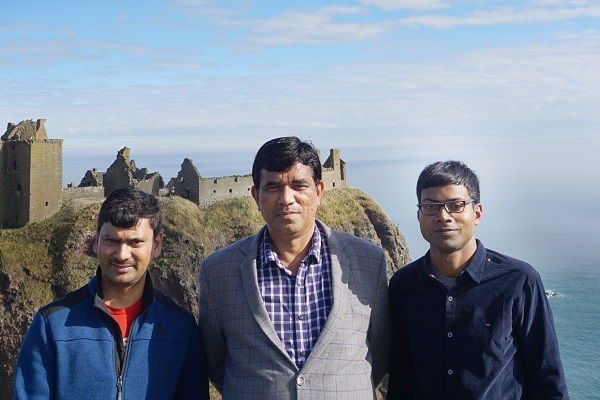 With the friendly behaviour of my Indian colleagues, Dr. Dinesh and Dr. Girish, who also availed this fellowship with me, the first month of my stay at Aberdeen will remain in my memory.